Carol L. Mueller, 91, of rural Arlington, died March 1, 2018, at Oak Terrace in Gaylord. Funeral services were held Monday, March 5, at St. Paul’s United Church of Christ in Henderson with the Rev. Deb Meyer officiating. Burial was in Brown Cemetery, Henderson. Carol Mueller was born July 9, 1926, in Henderson, to George and Martha (Hobeck) Kroehler Sr. She was baptized Aug. 15, 1926, at St. Paul’s Evangelical Church in Henderson. She attended Henderson Schools, graduating from Henderson High School. She received her teaching degree at Mankato Teachers College in 1946. She returned to college at Mankato State University in 1975, where she received a Bachelor of Science degree. After college, she spent a summer in Hawaii. She married Karl Mueller on Sept. 24, 1955, at St. Paul’s UCC in Henderson. The couple lived on the Mueller family farm, south of Arlington, for many years, raising livestock and showing cattle. Mrs. Mueller taught country school in rural Henderson and then at the Le Sueur Public School for a short time before beginning her career as a primary education teacher at the Arlington-Green Isle Public School. 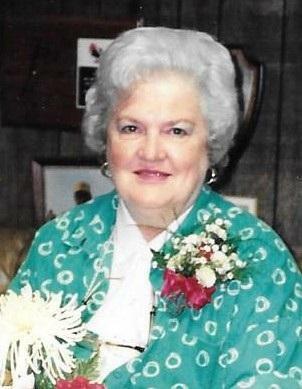 She had a passion for teaching children which spanned throughout her career of 37 years. She also enjoyed teaching Sunday school, and was active in St. Paul’s UCC Ladies Guild, VFW Ladies Auxiliary in Arlington, and church council. She enjoyed canning vegetables from her garden and cooking. But most of all, she enjoyed entertaining and always had room in her home and heart for guests. She is survived by her son, Kenneth (Renae) Mueller of Arlington; granddaughters, Sarah and Emily Tiede; sister-in-law, Phyllis Kroehler of Arlington; brother-in-law, Jim Schultz of Madelia; and many nieces, nephews, relatives and friends. She was preceded in death by her husband Karl in 2005; siblings, Carmen Geistfeld, Lorraine Schultz and George Kroehler Jr., and other relatives and friends. Arrangements were with the Kolden Funeral Home in Arlington.